From the middle of this year, Paul Gerin GmbH & Co KG, a print shop based in Wolkersdorf, near Vienna, will be running a Speedmaster XL 106 with LE UV (LE = low energy). 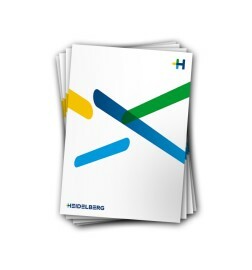 Based in Cardiff, UK, and with a workforce of 140 employees, cross media service provider A. McLay & Co. Ltd. is the 150th customer worldwide to be awarded certification to stringent ISO standard 12647-2 by Heidelberger Druckmaschinen AG (Heidelberg) as part of its Systemservice offering. 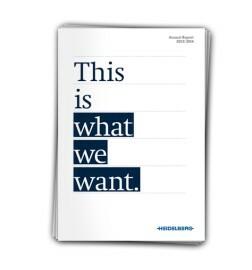 In mid-February this year, Polish print shop ERBI in Lodz took its new Diana X 80 folding carton gluing machine from Heidelberger Druckmaschinen AG (Heidelberg) into operation. Incorporating both Diana Inspection Control and Diana Braille modules, it is one of the best equipped Diana X 80 machines in Poland. 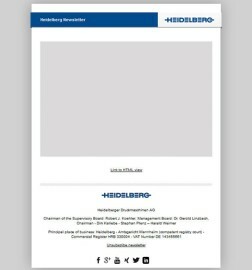 Heidelberger Druckmaschinen AG (Heidelberg) will start offering the new Speedmaster CD 102 in April this year. Equipped with the Preset Plus Delivery and a comprehensive package of automation components, it boosts productivity by around ten percent on the previous series, making it more efficient than ever.